You may have heard that a weekly blog is an essential tool for your business – it drives traffic to your website, engages your audience, and keeps your website interesting. Still, not every business owner has the time to write four blog posts per month, or the extra cash to pay someone else to do it for them. Enter the monthly website feature. For our local Durham client, the Ninth Street Merchant Association, a monthly feature is the perfect way to highlight each association member’s individual business. Curious about what a monthly website feature can do for your business? Here's a run-down. Keep your website fresh. Any rotating content, whether it’s a calendar of events, a weekly blog, or a monthly product feature, will keep your website feeling up-to-date and attended-to. Think about it this way: would you keep the same window display in your brick-and-mortar shop for months on end? Probably not. Never rotating your stock makes your shop feel stale and outdated. The same is true for your website. Adding new content every month breathes new life into your online presence. Give a little love to your favorites. Think of the monthly feature as an opportunity to promote the best of your brand. If you’re a gift shop, promote your three favorite products of the month. A gallery? Promote an artist. A restaurant? Your favorite ingredient of the month (saffron? Serrano peppers?) and how you’re using it. On the Discover 9th Street website, we’re highlighting the individual merchants who make Ninth Street such an incredibly varied and eclectic shopping district. The Crew at Computer Cellar, Merchant of the Month for April (coming soon to Discover 9th Street site)! Build brand loyalty. Give your customers – and potential customers – a behind-the-scenes look at your work. With each monthly feature, give your audience a little-known fact or story. 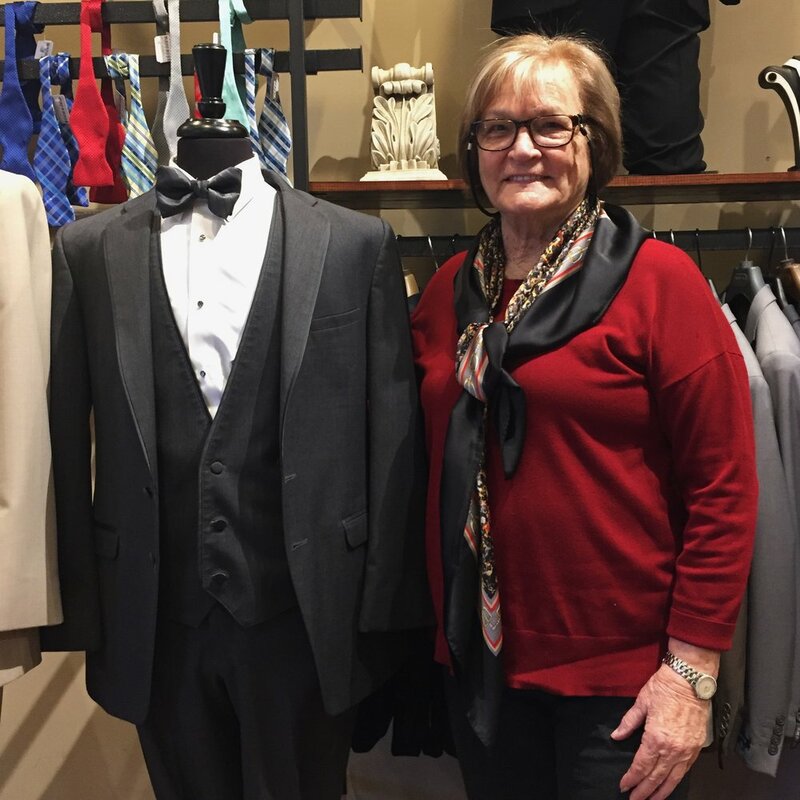 In last month's Merchant of the Month feature, we discovered that Jean Lorenzo’s employees at Bernard’s Formal Wear have been working with her for more than thirty years (wow!). That's information that not everyone knows, but everyone should. Establish yourself as an authority. Show your clients that you're well-established and that you know your stuff. Each month, give them advice on how to use their products to better their homes, their lives, or their business. In the case of the Ninth Street Merchants, we're helping the merchants to expand on an already strong local credibility - these are independent businesses who have been supporting and supplying the local Durham community since the days of the Erwin Cotton Mills. Essentially, they are Durham's first walkable shopping district. That's some serious street cred. You have the mission. You have the idea. We know how to communicate it.